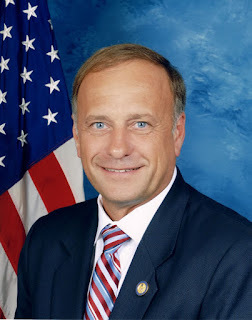 Steve King (R-Iowa) is a congressman from the fourth congressional district in Iowa. In other words, he is my congressman. I have written a newspaper column about his belief that white Christian culture is superior to all others. His first remarks of note on this issue were on MSNBC.